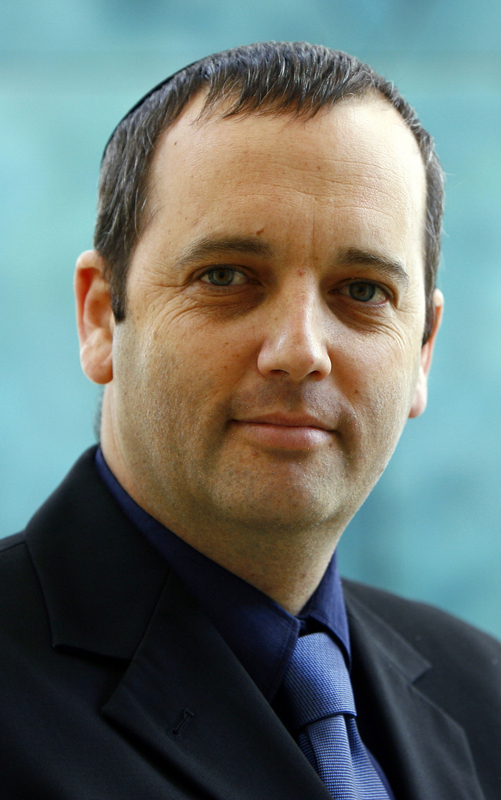 Rabbi Gilad Kariv is the President and CEO of the Israel Movement for Reform and Progressive Judaism (IMPJ). For the last 17 years, Rabbi Kariv has been an active and committed member in the IMPJ. Rabbi Kariv previously served as the Associate Director of the Israel Religious Action Center. He served in the Israeli Defense Forces’ special Talpiot project of the Intelligence Corps. He graduated from the Faculty of Law at the Hebrew University, earning a combined degree with a BA in Law and Jewish Philosophy. Following this, Rabbi Kariv spent a year clerking in the State Attorney’s office. Rabbi Kariv obtained his LLM in Public and International Law from the Northwestern University School of Law. While at the Hebrew University of Jerusalem, Rabbi Kariv joined the national staff of the IMPJ, and founded the Young Adult Leadership Forum which he headed for three years. As a representative of the Forum, he served on the Board of the World Union for Progressive Judaism (WUPJ). He studied in the Israel Rabbinical Program of the Hebrew Union College and was ordained as a Reform Rabbi in 2003. Rabbi Kariv first joined the Israel Religious Action Center (IRAC), the legal and public policy arm of the IMPJ, as the Director of the Public Policy and Social Action Department, later becoming IRAC’s Associate Director. In this capacity, Rabbi Kariv was responsible for guiding the legal and public policy work, as well as the social action activity of the IMPJ. Rabbi Kariv was a very active member in the Constitution Committee, which worked on creating a Constitution for the State of Israel. He has also served as a Board member of the Joint Institute for Jewish Studies, established by the Jewish Agency, following the recommendations of the Ne’eman Commission on conversion. In addition, he served as a Board member of Hemdat: The Israel Association for the Promotion of Freedom of Science, Religion and Culture. Rabbi Kariv currently sits on the board of Panim: For Jewish Renaissance, an advocacy organization working to promote pluralistic Judaism in Israel. Rabbi Kariv has written numerous articles and position papers on Judaism, religion and state, and community empowerment. His articles appear in leading Israeli newspapers and his opinions are frequently quoted in articles on legal issues, public policy, and social action. Recently Rabbi Kariv lead the negotiations on the Kotel issue together with leaders of the Conservative Movement, Reform Movement, JAFI, and JFNA which resulted in a historic decision to create a pluralistic section of the wall. Gilad Kariv resides in Israel but comes to the U.S. frequently. Almost 70 years since it declared independence, the State of Israel has yet to write a constitution. This lecture will discuss the importance of an Israeli constitution and steps that have been taken and those that need to be taken further, to produce one. This lecture will discuss the tension in Israel between its commitment to being both a Jewish and a democratic state, through the lens of public struggles such as the Kotel, Mikvaot and Conversion including insiders stories about the negotiations. This lecture will address the increasing awareness for the importance of Jewish peoplehood and the connectedness and joint commitment to the preservation of Jewish life in Israel and the Diaspora. Having established over 20 new Reform congregations in under a decade, this lecture will address the changing trends among secular Israelis searching for a meaningful and egalitarian way to celebrate their Judaism.